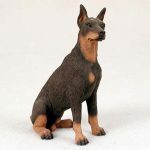 Identical to the color pattern on our other three Doberman Pinscher statues, the Doberman Pinscher red cropped figurine has a solid color with brown/red markings on the paws, chest, neck, sides of the snout, and inside the ears. 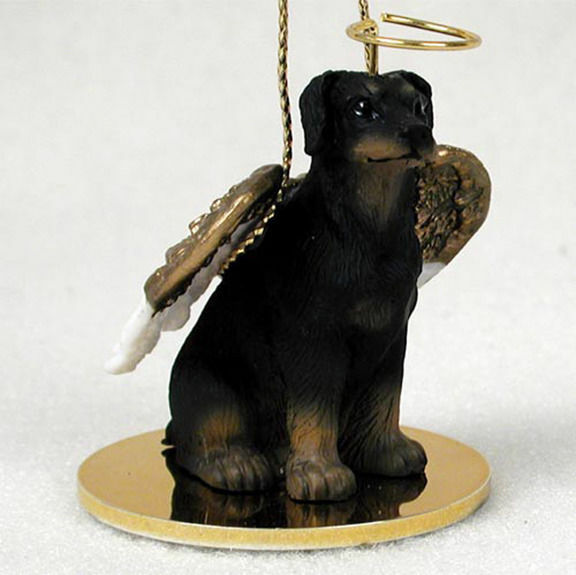 The remainder of the figurine is a mix of black and brown colors. 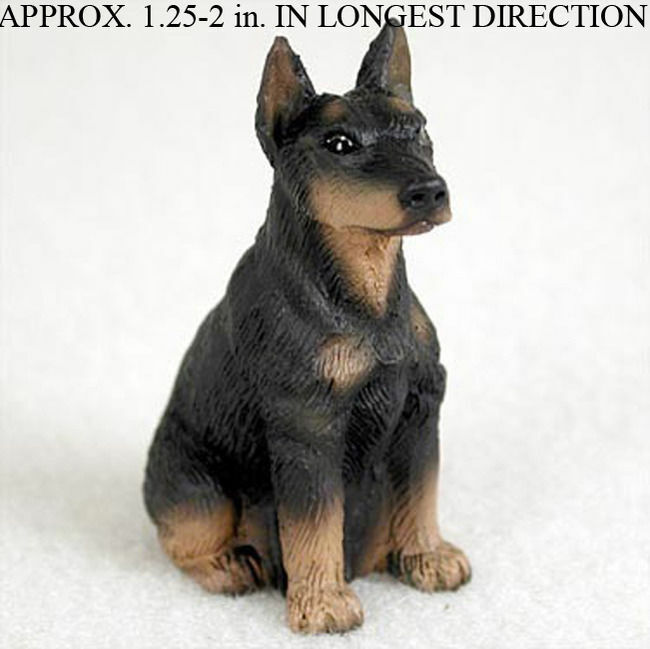 The ears are cropped and the figurine is displayed in a sitting position. With cropped ears the facial structure appears more narrow and muscular. 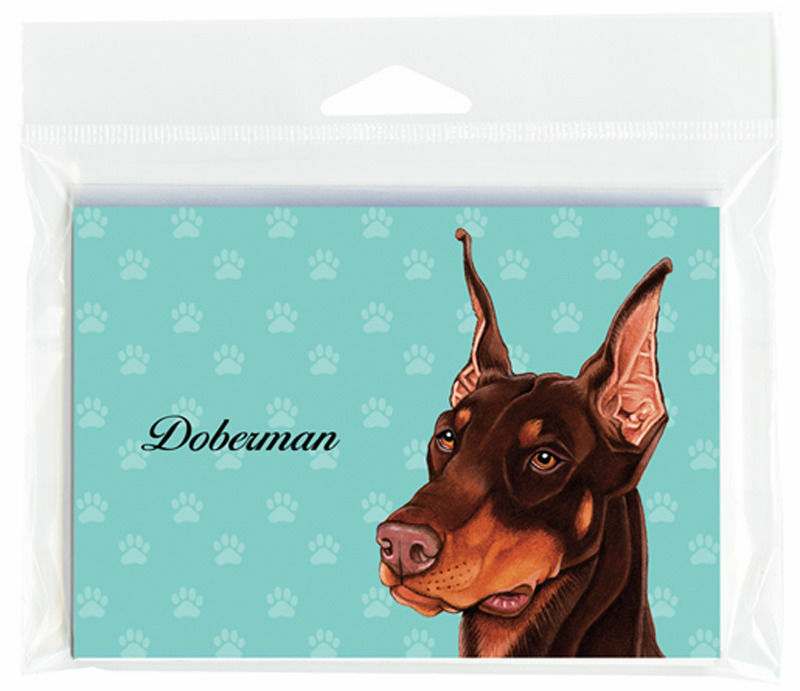 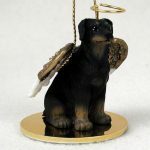 If you are unsure which Doberman Pinscher figurine matches your dog the best, you can view all of our Doberman figurines here: Doberman Pinscher Figurines.